METAFIL media consist of multiple layers of pleated and flat aluminum or galvanized or stainless steel wire to provide an intricate maze of dirt-catching surfaces. Multiple layers of media offer maximum expanded filter surface. Heavy gauge expanded metal grids on both sides protect the media and add rigidity to the filter construction. 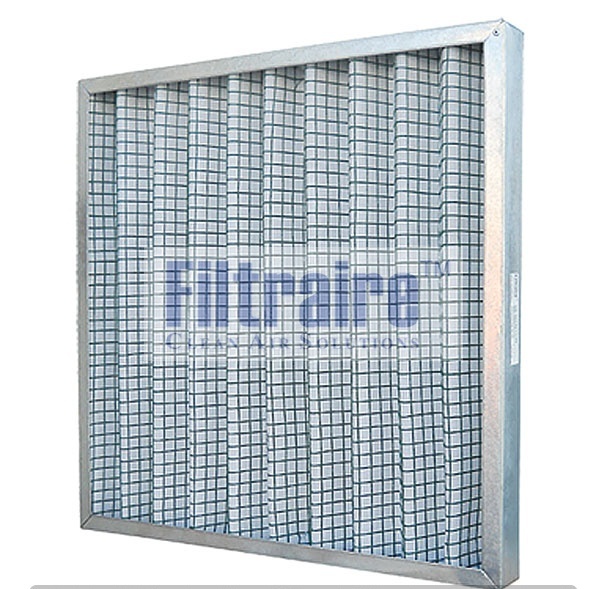 The filter elements METAFIL are mainly used as prefilters in air-conditioning and ventilation units for use in very difficult operating conditions including high velocity (up to 4,5 m/sec), high temperature, high moisture, corrosive environments, oil or grease laden air. Synthetic G3/G4 material approximately 10-15-20-25 mm thick on wireframe or metal frame. Polyurethane foam media normally 60-10mm thick, but the thicker material can be supplied on a wireframe or galvanized profile frame. The pore size of the foam can be varied to suit requirements, but are usually in the range of 20 to 60 PPI. Handles or tapes/loops can be provided if required. This type of filter can be manufactured to any reasonable size, typically 1200 x 1200 mm max. 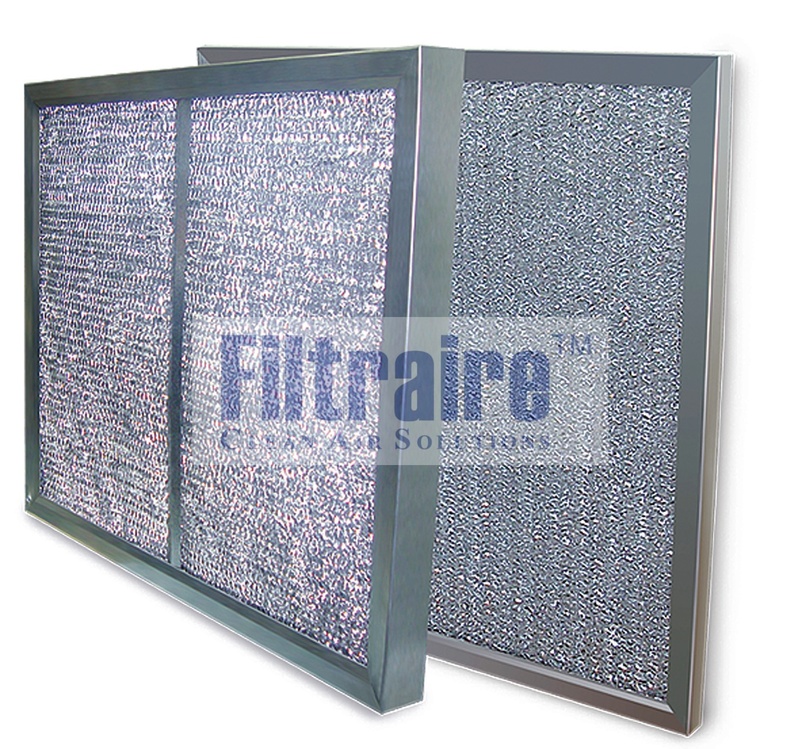 PLAIN PANEL FILTER is a washable panel used widely in small air conditioning and fan-coil units, warm air furnaces, and electronic equipment cabinets. 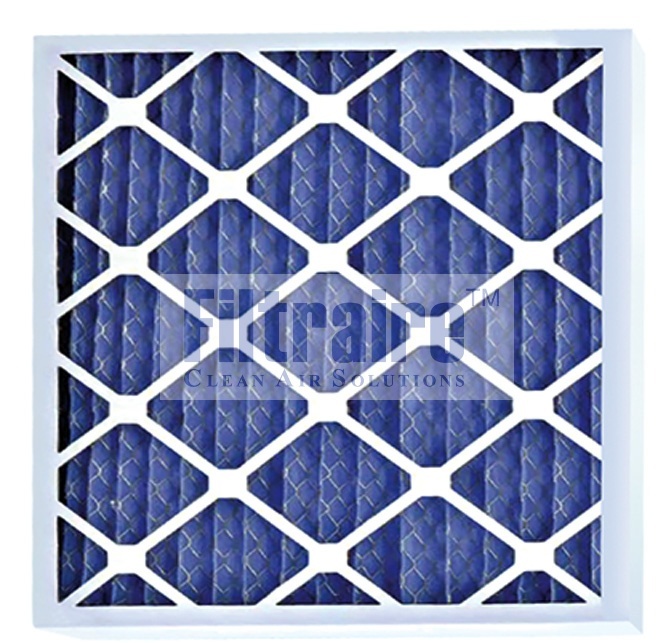 It is a low resistance filter often used to protect heat exchanger coils from dust, carpet fluff etc. Multipleat filters are made from polyester synthetic media, two sizes by welded galvanized wire mesh. To increase the surface area and provide rigidity, this structure is corrugated and retained in a metal frame. Depending on the environmental conditions of operation, frames may be constructed from either galvanized or stainless steel, they are produced in 40mm, 45mm, 95mm, and 98mm thickness. Different grades of media are available are to provide G2, G3, G4 efficiency options. Multipleat filters are designed for commercial and light-medium industrial applications. They can be used in general air filtration systems and as pre-filtration to protect more expensive higher efficiency filters. 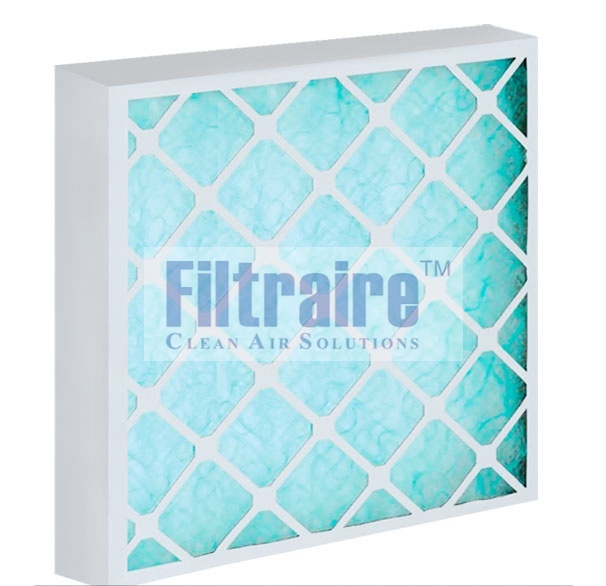 They are particularly applicable in humidity or coastal areas where disposable filters are quickly degraded and in applications which demand higher airflow through the filters. Panfil Disposable Pleated filters are designed for general use in air conditioning and industrial applications. They are compact and economical offer G4 efficiency together with high dust-holding capacity, long service life which makes our pleat an excellent option for meeting the requirements today’s filtration market. When used as a prefilter they considerably lengthen the service life of other secondary filters in the system. Media support of expanded metal for corrosion resistance and 100% media to metal adhesion. Double wall of high wet strength moisture resistant beverage board.